It’s time to bring out all those lonely orphan socks that you’ve been accumulating for years, and put them to work. 1. Use it to hold your jewelry when you travel. The sock will provide cushioning and it will also (hopefully) deter thieves. 2. Use spare socks when you need to pack breakables like glasses or vases, or use them as padding in boxes. 3. They’re also great for storing breakable Christmas ornaments. 4. Another holiday tip: Cut off the cuff part of the sock and put it on wrapping paper rolls so the paper won’t slide off. 5. You can use the cuff part to wrangle and contain loose electrical cords. 6. The next time you garden, put sock cuffs over your knees to protect your clothes and provide a bit of padding. 7. Cut a sock into strips to tie your growing plants to stakes. 8. When painting, slide larger socks over your sneakers and shoes to shield them from splatter. 9. Place a sock in your bed frame to stop squeaks. 10. When moving furniture at home, put socks on the feet of your chair or table legs to prevent scratching the floors. 11. Take multiple socks, fill them with a mix of popcorn kernels and quilt/pillow batting, and connect them! Voila: You’ve got a nifty draft stopper to put under the door. 12. Use stray socks to cover your golf clubs. 13. Keep any stray golf, ping pong, and other small balls together in a sock. 14. Put your wet umbrella in an orphan sock to keep the inside of your car dry. 15. Fill socks with silica kitty litter (which is extremely absorbent), and keep them on rear and/or front window ledge to stop windshields from fogging up. 16. On a hot, sunny day, place a sock over the metal parts of seat belts so they don’t burn people’s skin. 17. In the winter, put them over windshield wipers after you park your car to prevent wipers from freezing and sticking to the glass. 20. For pains and itches that require a cold touch, fill a plastic bag with ice and place it inside of a sock to make a softer ice pack. 21. For an ergonomic wrist rest for your computer, take a sock, stuff it with filling, and sew it closed. Whether it resembles a ferret, cat, another mammal, or no animal at all is up to you and your preferences and skill. 22. In a pinch, cut off the cuff and use it as a scrunchie in your hair. 23. Follow these steps to create a chic sock bun (don’t worry: you’ll be the only one to know a sock is in there). 24. Curl your hair while you sleep by tying up hair with singleton socks. In the morning, you’ll have mermaid waves. 25. When dry hands and feet need extra attention, slather lotion on your extremities, cover them with socks, and go to sleep. Wake up to baby skin. 26. Stash socks in the kitchen where they’re surprisingly useful. For starters, when cooking on the stove, slip one over the the handle of your saucepan or frying pan; this will not only shield your hand from the heat but also prevent the handle from getting sticky. 27. Use a spare sock as a grip to help open stubborn jars. 28. Keep your cupboard and refrigerator clean by deploying single socks to cover the bottoms of bottles or jars containing messy, sticky, drippy stuff like syrup, honey, molasses, and barbecue sauce. 29. Store your eyeglasses in a sock. 30. Cut off the cuff of a sock and use it as a wristband. 31. The cuff can also serve as an arm band to hold your phone while working out. 32. Or, make fingerless gloves. If you want a matched pair, use an extra long knee sock. 33. By using 10 or more socks with complementary colors and patterns, you can even sew together a scarf. 34. Fashion a sleep mask with an old sock, some flat backing fabric, and an elastic band. 35. Put potpourri or dried flowers and herbs inside a sock, knot it, and stash in drawers to make them smell nice. These are the best fragrances for every room in your home. 36. Fill a sock with mothballs and stow in a drawer, chest, or closet to ward off moths. 37. To soften laundry without using fabric softener or dryer balls, take a couple of socks, put a tennis ball inside each, knot them, and throw into the dryer before running your next load of laundry. 38. Create an easy dryer sachet by filling a sock with a mix of lavender and flax seed, closing it, and using it with a dryer load. 39. A larger sock can make an improvised wash bag to hold delicates like lingerie or stuffed animals. 40. Decorate your laundry room AND help reunite your missing socks by starting a “Clean, Single & Looking” clothespin board (Harry Potter fans will want to go for the Free Dobby version). 41. Use as a mitt to polish shoes. 42. Place your shoes inside spare socks next time you’re packing your suitcase. 43. Fill two spare socks with baking soda or coffee grounds, and leave in shoes overnight to deodorize them. 44. Stuff a sock into another sock, then put the whole ball inside your shoes when you’re not wearing them. This will help them retain their shape (and looks) longer. You can also try these other tricks to make your shoes last longer. 45. Take two tall socks, fill with newspaper or paper, and place the stuffed socks into boots to keep them from falling over. 46. Take a tall sock, and make boot cuffs – – these can add a pop of color and design and stop chafing. 47. Use to wipe off dry-erase boards or chalkboards. 48. Put a sock on your hand, wet it, and clean hard-to-reach places, like between blinds, along moldings, and in corners. 49. To dust extra-tall (e.g., on ceilings) or extra-narrow (under appliances or radiators) spots, fasten a sock to the end of a yardstick or a broom, dampen, and clean. 50. Employ a sock as an eco-friendly, reusable swiffer cover by stretching it to go over the swiffer bottom (chenille socks are especially good at picking up dust). 51. Put your hand in a sock, dampen it, and use as a mitt to clean houseplants of dust and other debris. 52. Construct a pincushion by stuffing with toy filling (you can find at craft stores) and sew it into a ball. Bonus points for fashioning into a pleasing shape (like this mushroom!). 53. 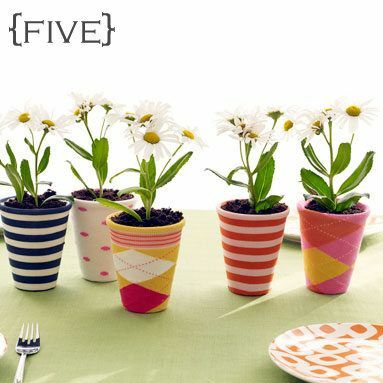 Reserve your more attractive single socks to serve as colorful covers for flower pots or vases. 54. For those of you with a large number of spare socks and a high level of crafty-ness, cut socks into strips and braid them together into a bath mat or even a rug. 55. If you can sew, construct a change purse or cellphone case. 56. You can create a variety of cute stuffed Christmas decorations – from the table top (like these snowpeople) to the hanging-from-a-tree variety. 57. Combine socks with a variety of hues and patterns to craft a fabric wreath—make one for Christmas or year-round. 58. For Easter morning breakfast, dress up hard- or soft-boiled eggs with adorable egg cozies. For this, you decorate baby socks with felt, eyes, and feathers. 59. When shedding season arrives and you can’t find a brush, put a sock on your hand, wet it, and use to remove excess hair from your cat or dog. 60. Fill it with catnip and knot it to create a cat toy. 61. Put a tennis ball or chew bone inside a sock, knot it, and you’ve got a pull toy for a dog. 62. If you can sew and have a miniature or teacup dog, you can actually make a fetching sweater and cap ensemble from just one sock. 63. You can also make a pet bed for a small dog or cat. Construct a stuffed snake, coil it, and sew it into an oval. 64. Hamster owners: there’s a craft for you, too. You can make a sleeping bag for your wee one. 65. Use a bigger, prettier sock to make a jacket for a flask. 66. Use the cuff as a soda or beer can coozie to keep your hands dry and your beverage cold. 67. When you go on a hike or day trip on a hot day, pack a frozen water bottle and put a sock over it to keep the water cold longer. 68. Use a sock cuff as an eco-friendly alternative to cardboard coffee sleeves. Or, use it at home to hold hot mugs. 69. Next time you give someone a bottle of wine, wrap it in a cute sock (not a white athletic sock) to dress it up and cushion it. 70. Socks can be turned into a chestful of soft toys for your kids. The most easiest and most basic is the sock puppet. 71. By taking a sock, stuffing it, and sewing it, you can turn it into a zoo’s worth of animals, both real (monkeys, rabbits, chickens, owls, sheep, lions, octopi, bears) and imaginary/extinct (dinosaurs, monsters, dragons). Look on Etsy and Pinterest for ideas. 72. Use a stuffed sock as the head for a homespun hobby horse. 73. Craft a school of stuffed fish from socks, put magnets in them, make a fishing pole from a wooden dowel from yarn or ribbon and a washer, and presto! You’ve got a sock fishing game. (Note: Please be careful about playing with magnets around young children who could accidentally swallow them). 74. Remove the magnets and attach the fish by strings to a frame, and you’ve got a fun mobile. 75. Put a bell inside a baby sock, add polyfill stuffing, sew shut, and embellish to make a rattle. 76. Construct a hacky sack by filling a single sock with rice or lentils or sand, shaping into a ball, and sewing it closed. 77. Furnish the fixings for an indoor snowball fight by constructing stuffed snowballs from athletic socks. 78. Put together an adorable, 3-D advent calendar for a child. Use babies’ or children’s socks in attractive colors or patterns, attach numbers, enclose gifts, and pin up. 79. With scissors and pins, you can make all kinds of clothes for all kinds of dolls, whether they’re Barbies, American Girls, or others. 80. Since soap can be slippery for small hands, put the bar inside a clean sock and knot it to make it easier for kids to use. 81. Cut off the toes from a sock and use the cuffs to protect baby’s knees when they’re learning to crawl. 83. Cut up spare adult socks to use as baby washcloths. 84. One adult sock can be stitched into a pair of socks for a baby. 85. You can also sew together two adult knee socks (use colors or patterns that go together) to make leggings for a baby or toddler. 86. Since kids are frequently ripping their clothes, spare socks can provide comfy material for patches. You can also use a spare sock to add pockets to their clothes. 87. Depending on how many socks you have and how big your imagination is, you could use them to craft a portrait or an art installation. 88. Finally, why not use your socks to find the next big business idea? After entrepreneurs Arielle Eckstut, Jason Dorf, and Jonah Staw noticed that teens and tween girls were wearing mismatched socks due to the missing sock problem, the trio founded the company Little MissMatched, which began selling socks in colorful packs of three (each with a different color or design). They’ve since expanded into clothes and bedding.